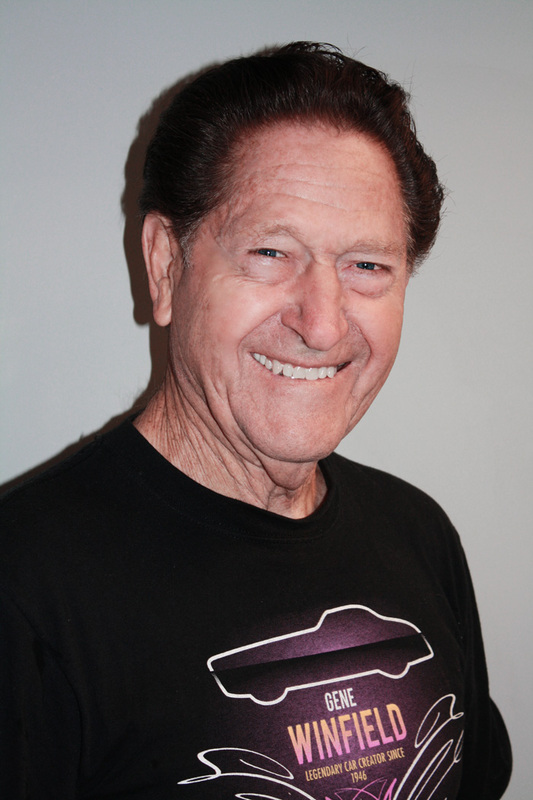 It is hard to cover in only a couple of pages over 65 years of innovation, talent and craftsmanship that Gene Winfield has been associated with in the automotive world. 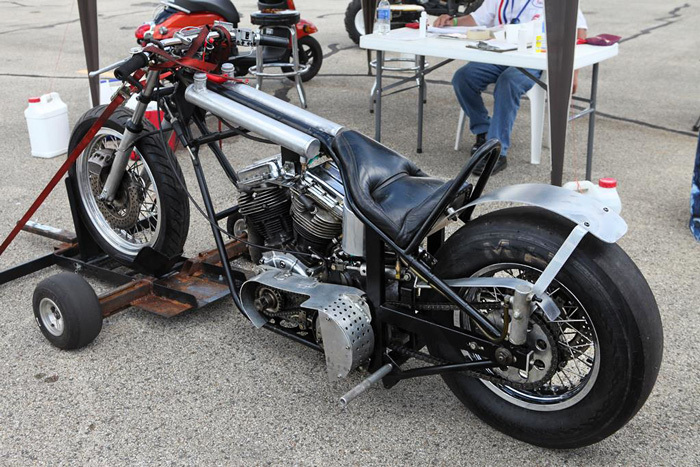 He is one of the original California Customizers that started trends that would eventually cross the globe. Gene built his first roadster in Modesto, California while in high school during World War II and hasn’t stopped since. He opened Windys custom shop in 1946. 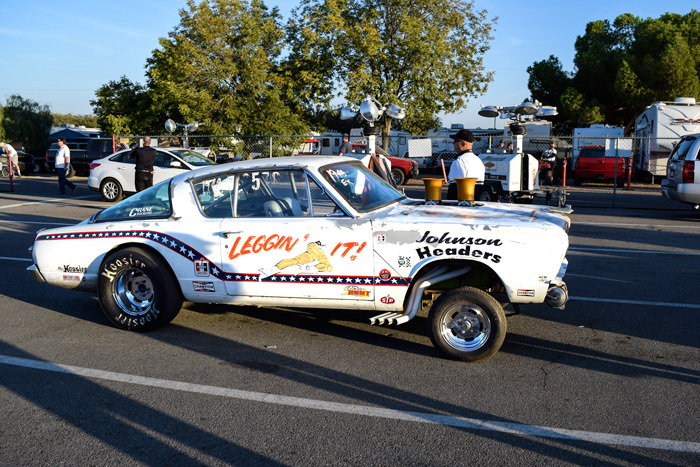 He has raced cars on the streets, dry lakes and the earliest drag strips of the country. 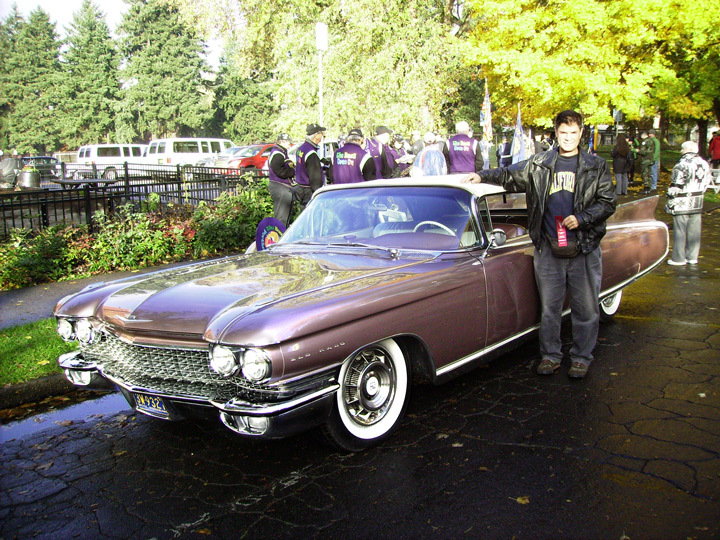 Gene and his car club attended and also hosted some of the first hotrod shows. In 1950 while in the Army he went to Japan. While he was there he built and raced a 41 Ford. 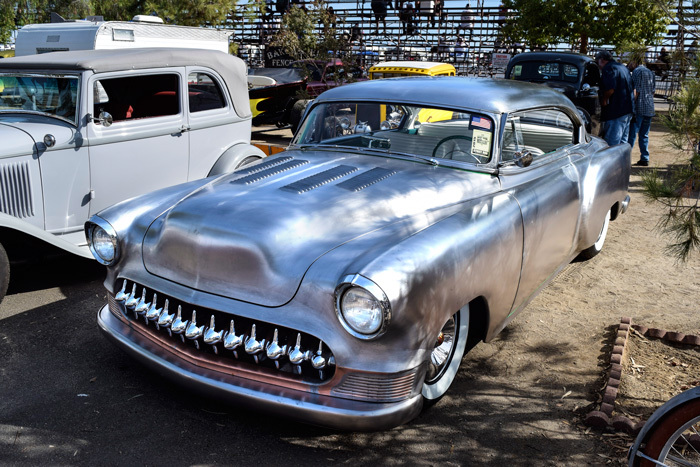 After his return from the service in 1951 Gene opened Winfield’s custom shop in Modesto where he worked on projects like Rod & Customs dream truck. Over the years he has also contributed to articles in many rodding publications and even wrote a Q&A article for Car Kulture Deluxe. 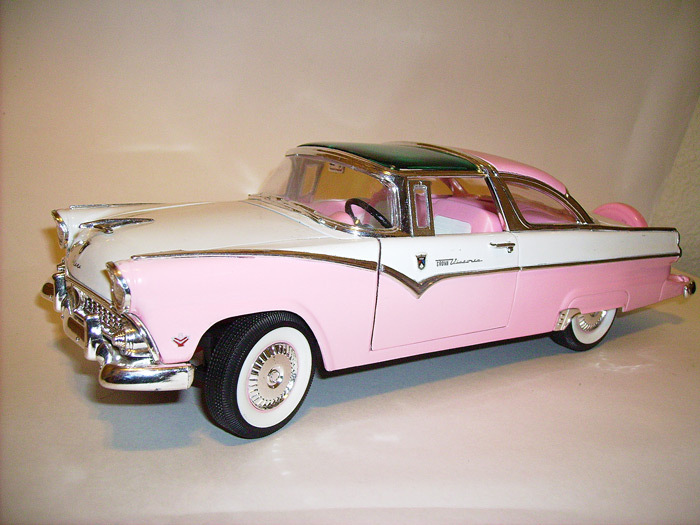 By 1960 Genes work was getting national recognition, most notably for his custom paint jobs. His eye for shades and hues led to the development of the first fully blended paint job. 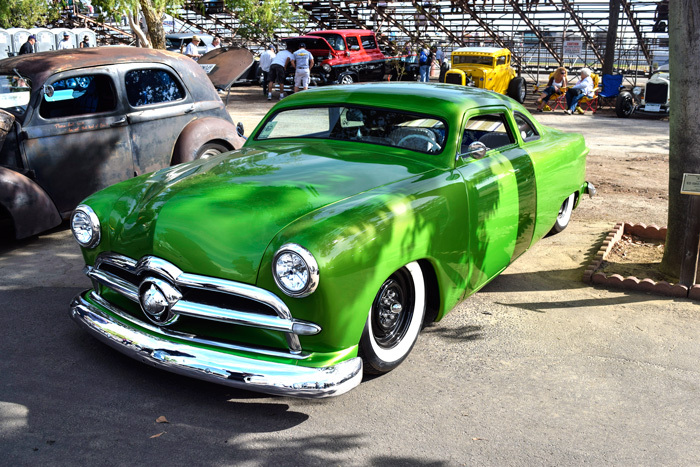 His canvas was the radically customized 57 Mercury dubbed the Jade Idol. 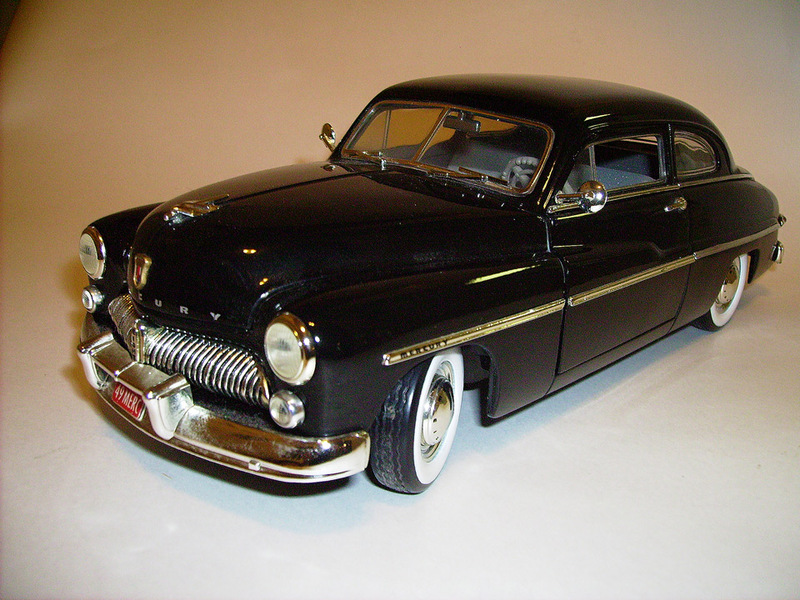 It was quickly followed by another custom Mercury called the Solar Scene, a 1950 with electrically operated seats that swiveled out to greet the occupants. 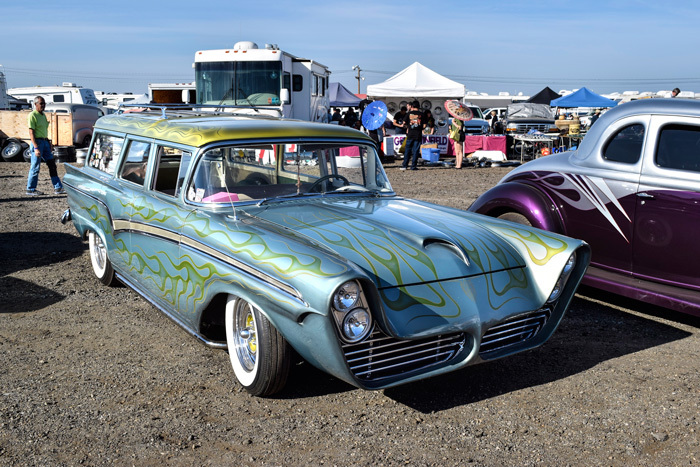 A couple of other famous Winfield cars are the Strip Star and the Reactor, both of which featured futuristic looking designs and handmade aluminum bodies. Both of these cars are animated with remote control devices and gadgets. These cars have won many prestigious awards at national car shows. Gene applied his body work talents to 3 roadsters that each won the 9 foot tall “America’s most beautiful roadster” award in 1955, 63 and again in 64. By 1962 his notoriety had brought himself and several other builders to Detroit. 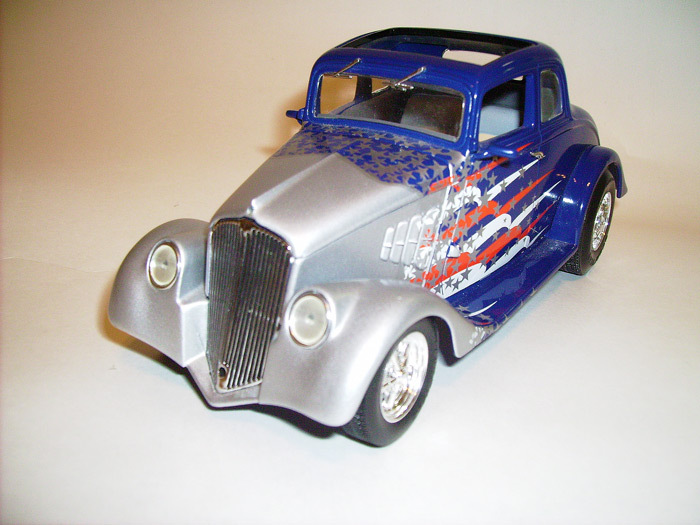 Ford offered each customizer a new product to restyle. 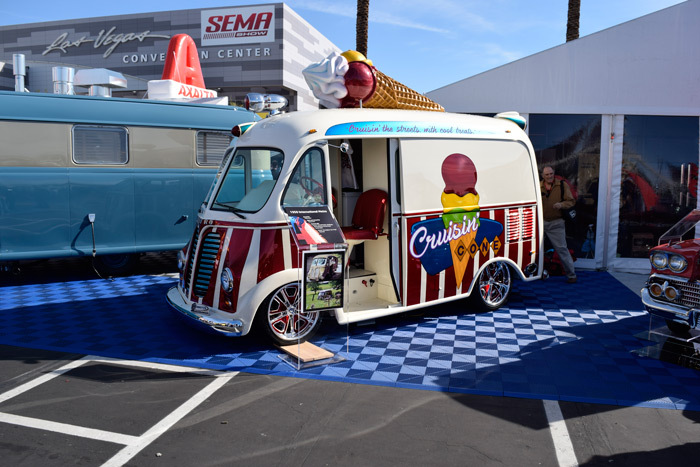 The “Ford custom car caravan” hit the show circuit in hopes of capturing the youth market. 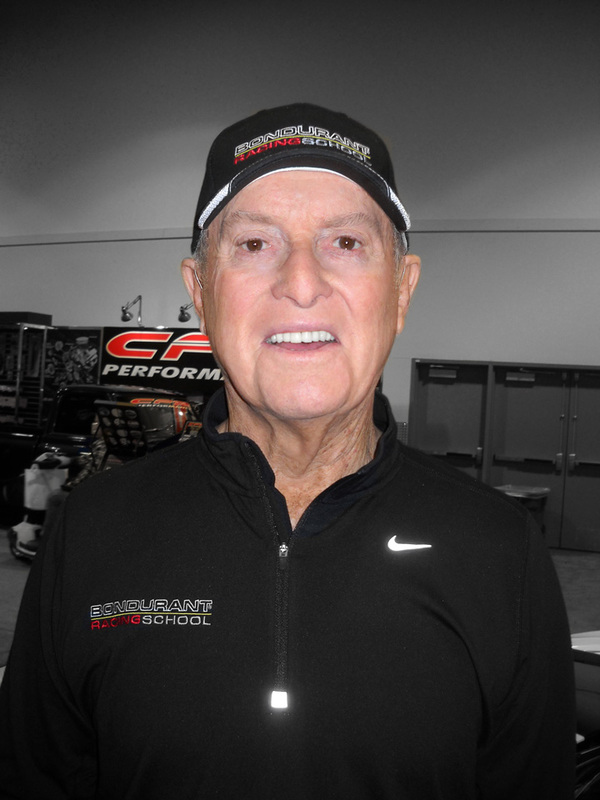 Four years later Gene was asked to run AMTs (a model car company) speed and custom division in Phoenix, Arizona. There they would develop full size show cars and accessories. One such creation was a plastic bodied car called the Piranha. AMT built specialty vehicles for TV shows, feature films and movies. Some of Gene’s creations were the Man from U.N.C.L.E. and Get Smart gadget cars, the Galileo shuttlecraft from the original Star Trek series, a ‘31 chevy that converted to the NEW 1967 Camaro in under a minute for the Dean Martin show, a new Impala split front to rear for a Chevrolet commercial and he has also frozen a car in a block of ice for an oil company. Some of the movies and TV shows that feature his work are Ironside, Bewitched, Robocop, The Wraith, Magnum Force, Back to the Future II and the list goes on. In some of his spare time Gene had done stunt work for tire companies. Some of Gene’s larger projects include 6 cars for Woodie Allen’s Sleeper and a monumental 25 cars for Blade Runner featuring Harrison Ford. Some of those cars had to be specially equipped with hydraulics to retract the wheels for a flying mode. 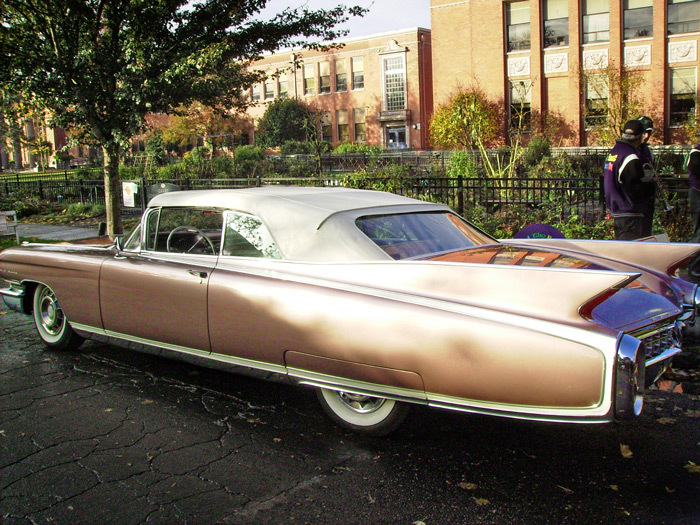 One of them he recently restored for Paul Allen’s Science Fiction Museum in Seattle, Washington. 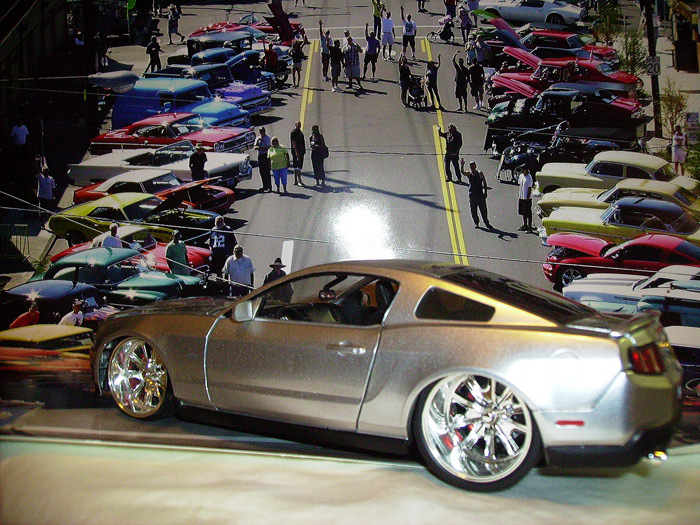 He is also currently working with the World of Wheels series chopping tops during the shows. Last year Gene chopped 17 cars total of which 10 were done during the car shows. In the mid-eighties custom cars were on the rise again. Gene found himself with customers wanting to get their Mercury’s chopped, sectioned and frenched again. He saw a need for repair to these old cars. 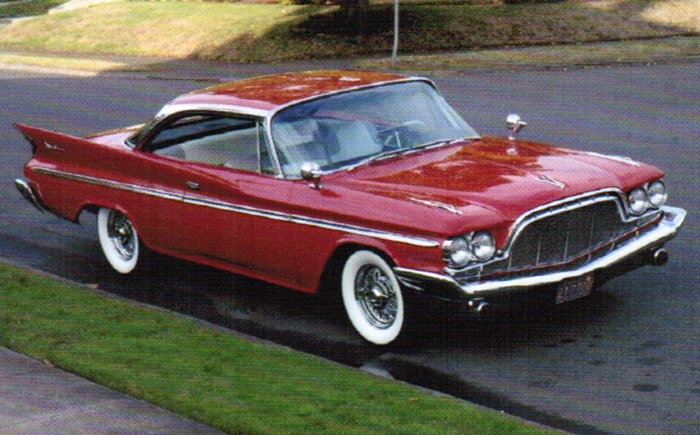 He then developed a line of steel and fiberglass parts for Fords and Mercury’s to include complete 49-51 glass bodies. The glass bodies have built in features like frenched headlights and already chopped roofs. 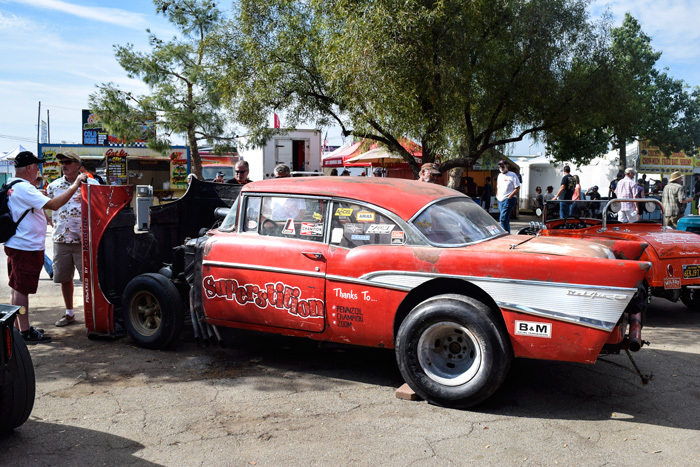 Aside from custom work and fiberglass business Gene finds time to attend many car shows and events around the world each year and even found the time to recreate his old race car “The Thing” which he races at Bonneville and El Mirage dry lake beds. 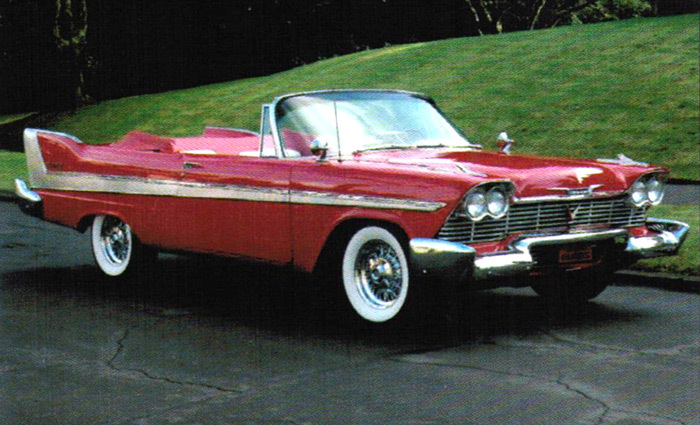 Some of Genes newer creations include Maybellene, a 61 Cadillac with a Northstar engine and the Pacifica, a 63 Econoline pick up with a 5.0 mustang engine. Both vehicles feature air ride suspensions and are sporting some of Winfield’s finest signature paint jobs. Some of Genes more recent TV work includes 2 interviews on Hot Rod TV, an interview with Dennis Cage from My Classic Car, the Old School Chevy and Insane 54 for Monster Garage, painted a Cadillac for Billy Gibbons (ZZ Top) on TLC’s show Rides, demonstrated fabrication and painting techniques on Travel Channel’s Riding with Rossi and History channels Boys Toys Custom Cars where he also chopped a top, and 3 full size wind up cars for a Mobil oil commercial. With all that Gene is also in negotiations for his own TV show. If that isn’t enough, Gene travels the world teaching workshops on metal fabrication to pass his experience of customizing on to future generations. When asked about current projects, a twinkle of his eye and his trademark smile was all we were able to get out of him. When asked about his age he responded the same way. No matter what, he is still going strong and shown no signs of slowing down. Once a Racer. . .
Former Formula 1 racer Bob Bondurant is still quick. I glimpsed his profile in passing and had to chase him back to his booth at SEMA. He was there to promote his school of high performance driving and though I respect his business savvy, I’m more interested in his previous career— that of a professional race car driver. Is it common knowledge that Bondurant drove a Ferrari to ninth in the U.S. Grand Prix of 1965? (He was fourth the following year at Monaco in a BRM.) Do people know that he was hand-picked by Carroll Shelby to drive the original Ford Cobra? And that partnered with Dan Gurney, he finished first in class at Le Mans in ’64? These achievements were accomplished just prior to my introduction to road racing. 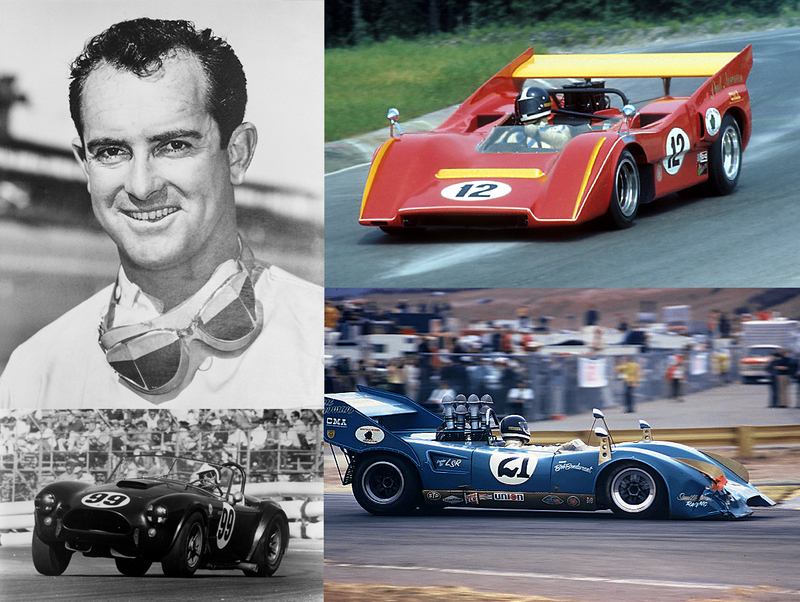 Fortunately, I did witness Bondurant contest the 1970 Can Am series and that was what I chose to talk with him about. Can Am historians will tell you that Team McLaren dominated the series from its inception through 1971, but they did face formidable competition. Bondurant choose the series to promote his fledgling driving school business and to showcase his driving ability. Under the banner of Smith-Oeser Racing, a two year old Lola T160 was prepared for the challenge. 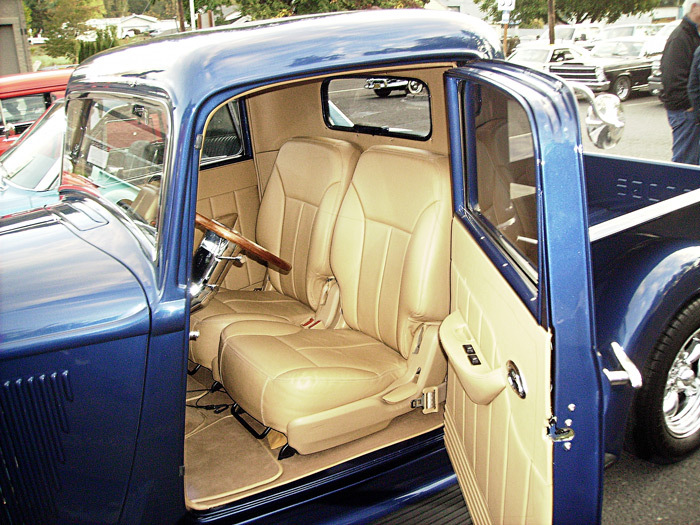 It was lightened and heavily modified with swoopy coachwork. 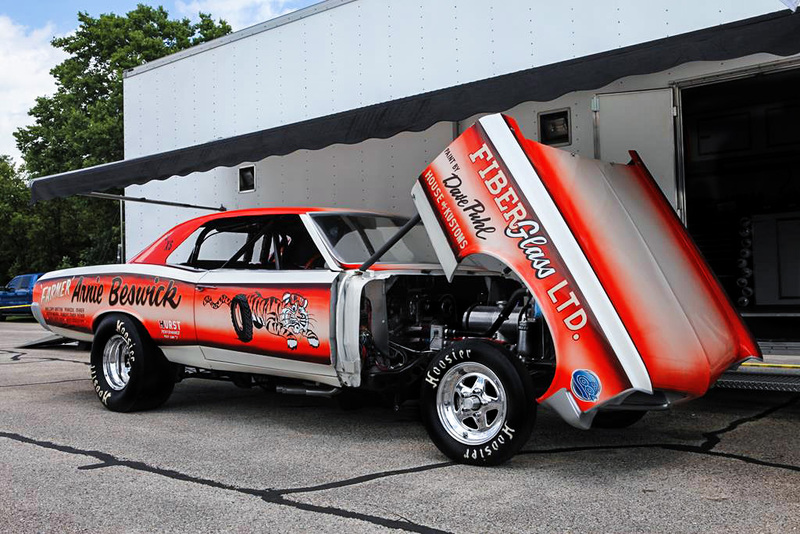 Giving up little in the horsepower department, they installed a fuel injected 427ci Chevy for propulsion. Bondurant took the controls one race into the season at St. Jovite (Canada). He struggled with engine problems in qualifying and fell out of the race with less than half the distance covered. Two weeks later when the tour made its first appearance stateside (Watkins Glen), Bondurant soldiered home fourteenth. This is a better performance than it seems as the field swelled with an influx of closed cockpit, enduro cars that compete in their own race the day before. Then it was back to Edmonton, Canada where the team put forth a solid qualifying effort. Bondurant started the contest from the eighth slot and ran well…until his engine expired with twenty laps to go. Mid-Ohio was nothing to write home about; twentieth in qualifying and an early retirement, this time due to electrical woes. For 1971 Bondurant teamed with privateer Lothar Motschenbacher and his chances for a positive result improved dramatically. Motschenbacher was a wealthy car dealer/professional racer who purchased Team McLaren’s cars at the conclusion of each season. Other than a fully tested factory effort, there were simply no better cars available. The new team underlined this point by qualifying fifth and sixth at the season opener in Mosport (Canada), and finishing the race in third and fourth place respectively. At the second outing at St. Jovite Bondurant was a tick slower than Motschenbacher, starting ninth but failed to finish the seventy five lap contest. At the third round they returned to winning form, again claiming side by side starting berths in the third row and again Motchenbacher finished on the podium. This time however, Bondurant lost oil pressure and retired at twenty laps. Spirits were sagging by the fourth round where the team could manage no better than seventh and thirteenth starting spots. It got worse in the race as Motschenbacher crashed out on lap seven. Bondurant actually finished the race in sixteenth position, a full nine laps off the winning pace. Before the fifth race of the season, the racing partnership had dissolved and only one Motschenbacher entry appeared on the grid at Mid-Ohio. It was very likely the McLaren Bondurant had driven in his last outing. Bondurant did not return to the Can Am but continued to race professionally for another decade. When reminded of the Can Am days, a smile spreads across his face and a gleam appears in his eye. “Those cars were fun,” he asserts. 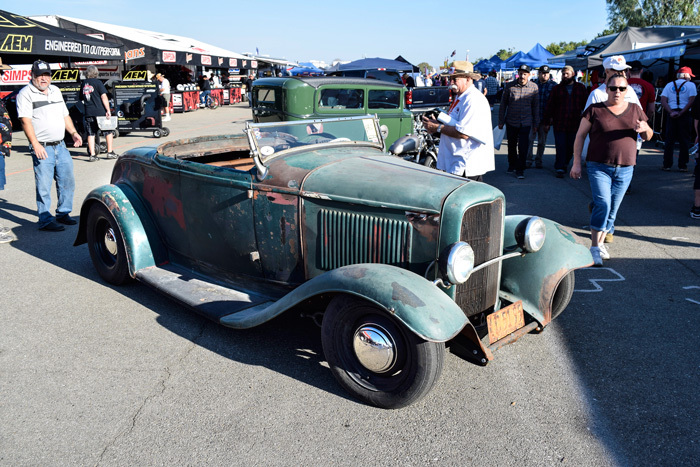 The 24th Annual California Hot Rod Reunion Presented by Automobile Club of Southern California at Auto Club Famoso Raceway near Bakersfield California is in the history books for another year. 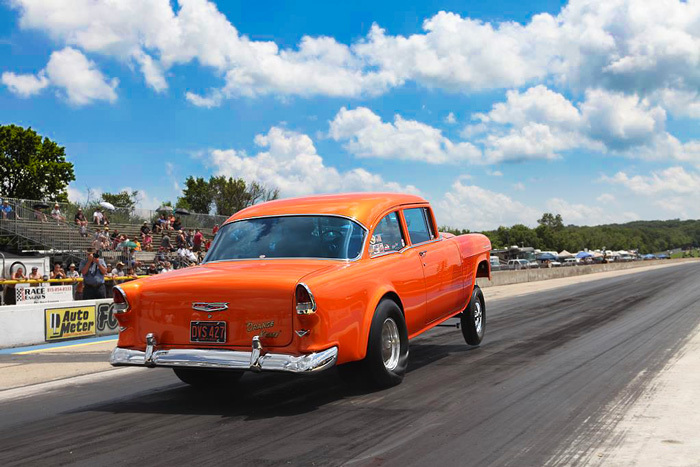 Getting your nostalgia fix for old time drag racing is sure to be satisfied at this event. 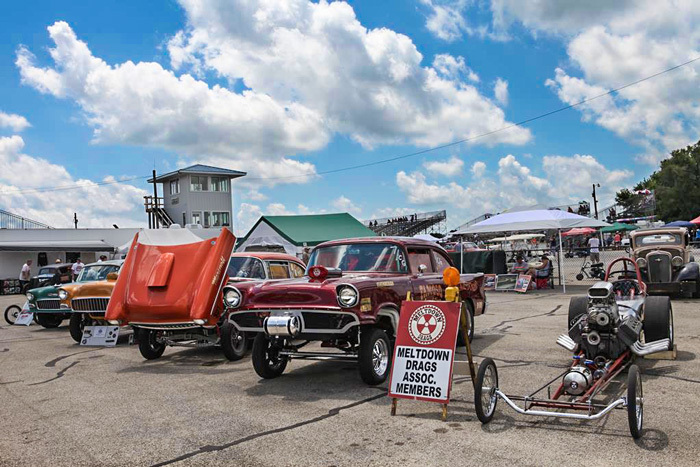 In addition to the drag racing there is a car show/cruise-in in the “Grove” right behind the grandstands that covers about a ¼ mile with historic drag machines and new hot rods alike. Beyond that adjacent to the track there is a swap meet where you can find amazing hot rod stuff. I’ve never seen so many “Blowers” for sale, in my life, some very vintage and some not so old. There’s a vendor row between the pits and the Grove, where you can find tons of stuff. I bought a hot rod t-shirt for my newest grandson. Naturally, it was too big, but he’ll grow into it. By this time it was completely dark and the flames were popping out of the zoomies as they cackled until their fuel was gone. If you’ve never seen or heard a “Cackle Fest,” It’s pretty cool. 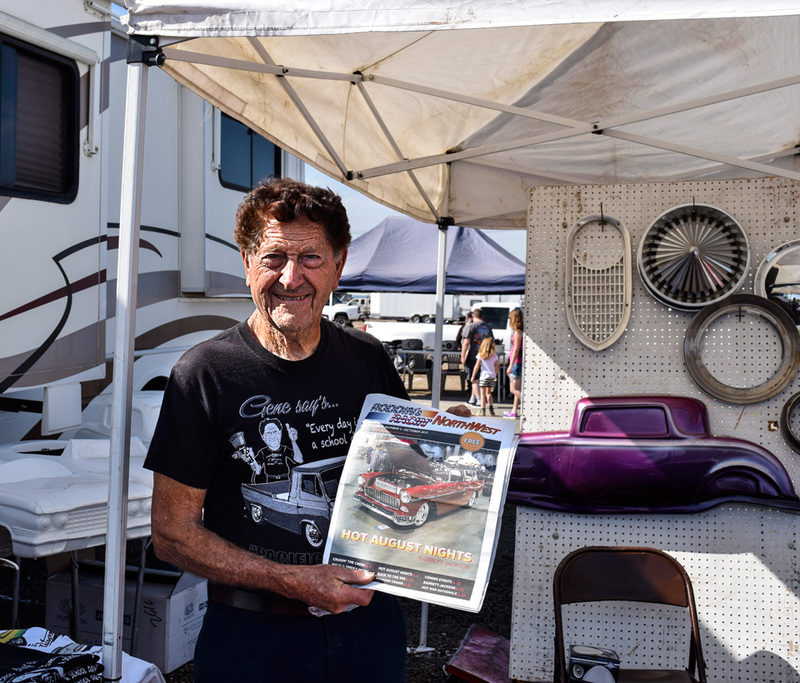 While wandering through the swap meet we stumbled onto a vendor booth operated by none other than Mr. Gene Winfield. He very graciously offered to pose for a picture and he even held up his copy of Roddin’ & Racin’ Northwest. Man, I’d love to know all the hot rod history he has experienced. A little farther down the aisle a golf cart pulled up to my buddy Jim who was wearing a vintage Ed Iskederian t-shirt and the passenger was none other than the man himself, Mr. Ed Iskenderian. He asked Jim if his shirt was an original (old) shirt, which it wasn’t, but a new reproduction of an old one. He also asked if we used any of his cams, which we do and have and he offered his hand to this nobody and introduced himself. I was impressed with his gracious friendliness. He has been working at this hot rod stuff for a while too. 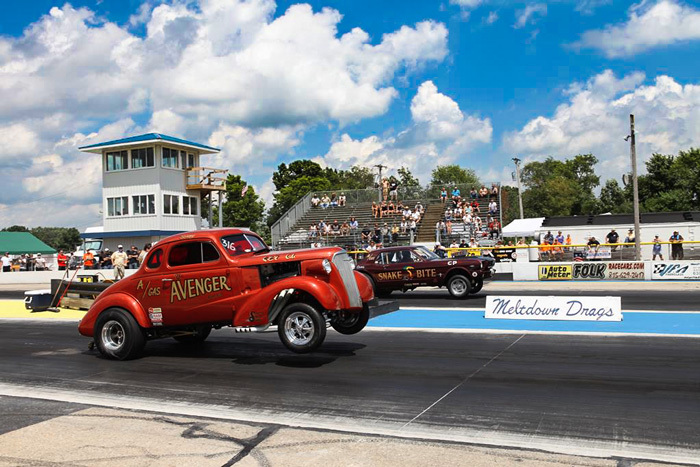 Back at the beginning of this article I mentioned there was drag racing going on, tons of it. Nitro burning rails, Funny cars, Altereds, lots of the old stuff you might remember seeing back in the sixties, gassers etc. and newer stuff as well. 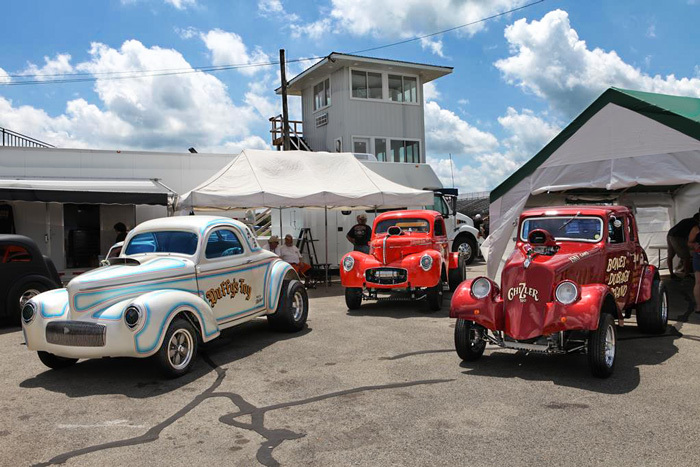 In the front of the pit area nearest the staging lanes there we vintage race cars, push cars/trucks, old gassers galore. It was a pretty cool weekend and it was the 24th annual, which suggests the likelihood of a 25th annual. 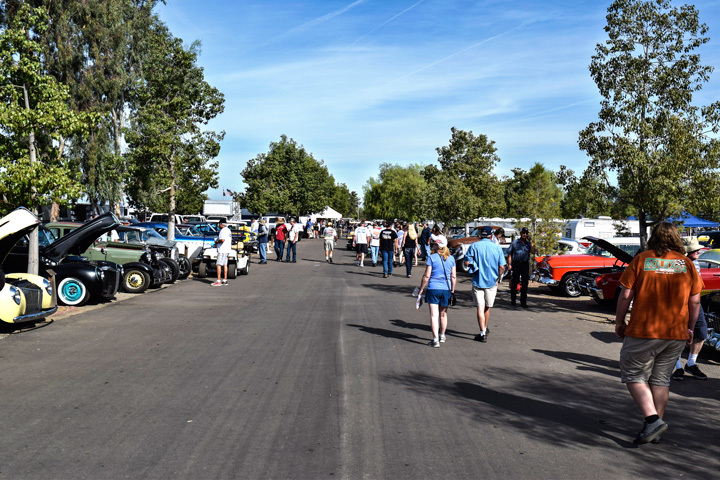 It’s worth the trip if you like hot rods and race cars, but take your sunblock and hat because it was pretty sunny and you will definitely get burnt if you’re not protected. Look for next years’ event again in mid to late October. “Where the guys who get it go”… that is the driving thought behind the Meltdown Drags. 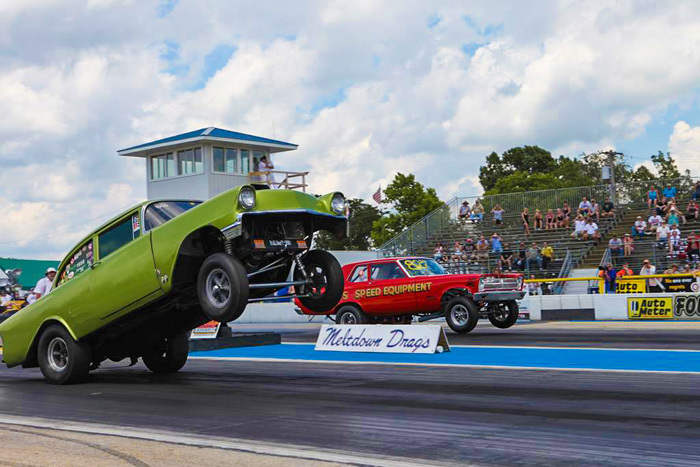 The crew behind the Meltdown Drags goes all out to recreate a 1966 and earlier racing weekend at Byron Dragway, and in just their 5th year they have created what many consider the top vintage drag racing event in the world. The guys putting on this amazing event have an incredible vision of what they have created, and the world who also “gets it” is responding with open arms. 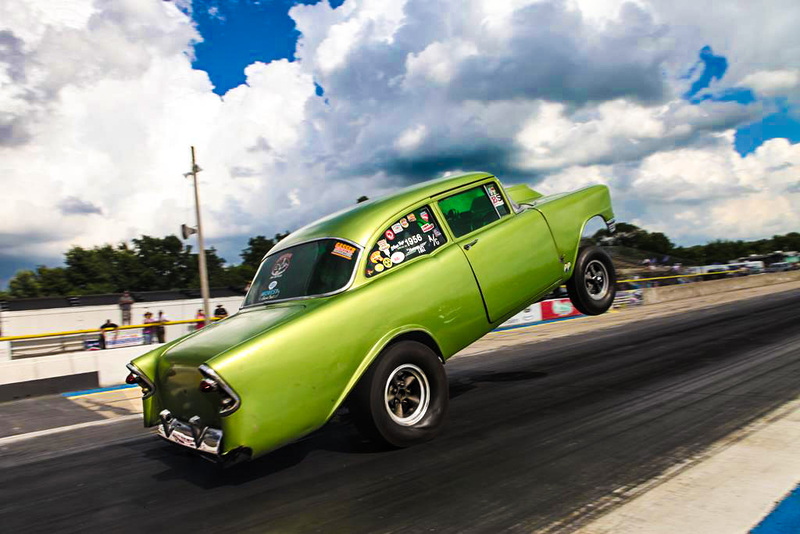 At the Meltdown event you will find no bracket racing, no breakouts, no trophies, no egos, just pure sixties match racing for fun and bragging rights. 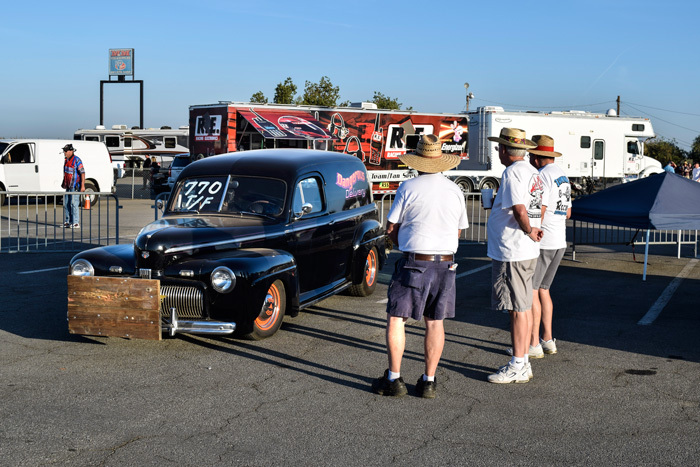 What you will find is a mind blowing gathering of authentic, REAL, vintage drag cars putting on one hell of a show…not just sitting around looking pretty… racing! 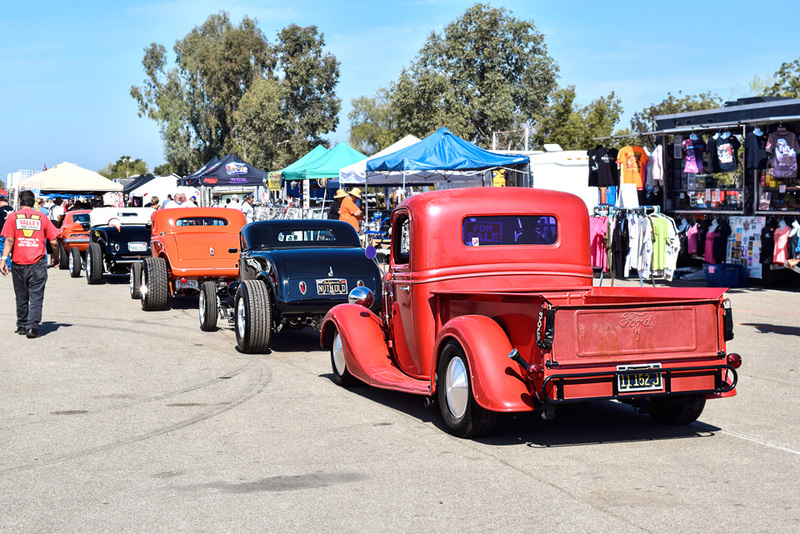 This year’s event featured over 500 vintage drag cars along with some amazing era correct built nostalgia cars from both Coasts and 38 States in between. Spectators poured in from the US, Canada, the U.K., New Zealand, and the list goes on. Ed Iskenderian and Bones Balogh flew in from California, and several gasser race teams showed up in force to battle it out against each other including: The Nostalgia Gasser Racing Association, The Great Lakes Gassers, The Southeast Gassers, The Ohio Outlaw A/A gassers, and many more. 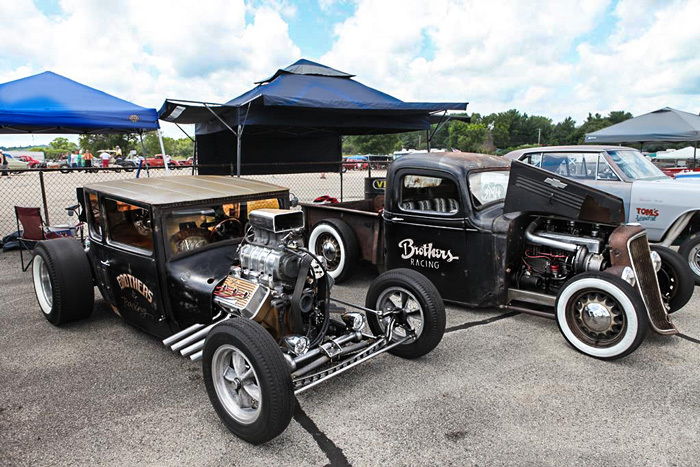 When It Comes to Street Rods & Custom Cars, When Does the World of Reality Really Begin? 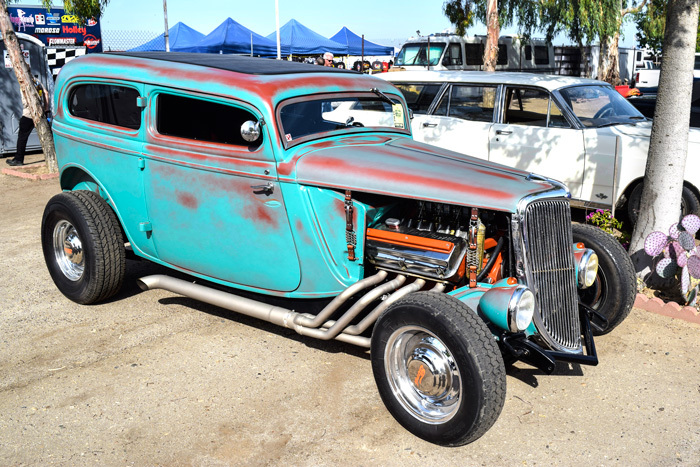 I remember back in the late fifties and on into the early sixties, when you attended your first new car show that came to town, and the promoters would brighten up the show by featuring some old classic custom cars and a hand full of unbelievable street-rods. 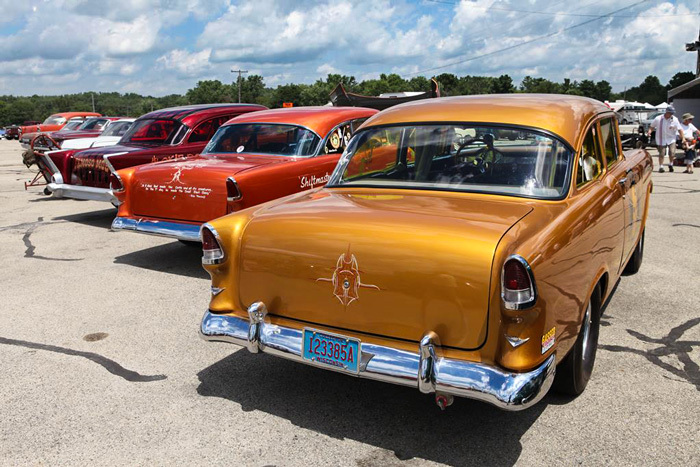 In a lot of communities this was the beginning of the now famous annual street rod and custom car shows that attract tens of thousands of car enthusiasts in most cities throughout the United States and Canada every year. Thus the story begins. 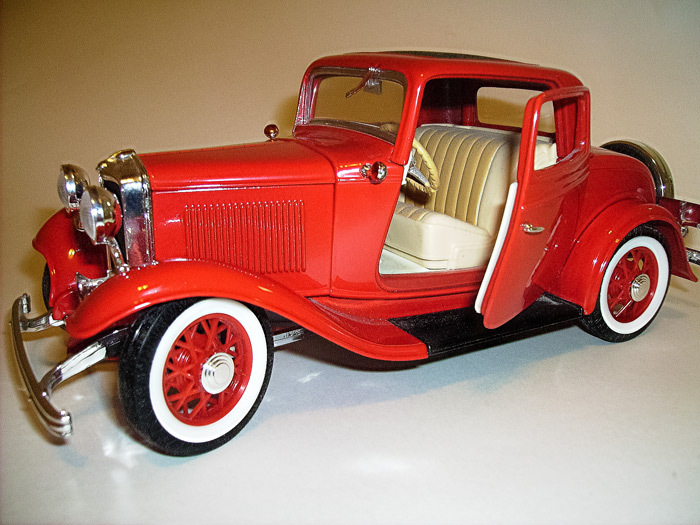 I am fortunate enough to have owed my little 1926 model “T” coupe for the past fifty some years and she has treated me well since back in the mid-fifties when we tore her all apart. And thanks to a very special high school auto shop teacher, Mr. Emery, we recreated a little safer car than old Henry Ford could build back in the twenties. 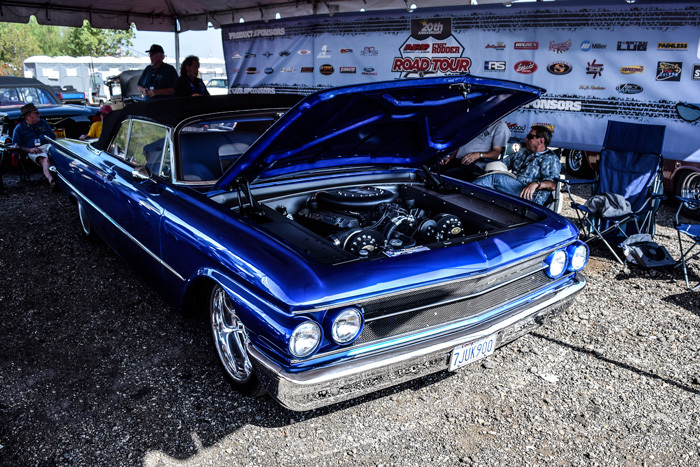 She has been in quite a few street rod and custom car shows over the years from Spokane to Seattle, Portland, Sacramento, Boise and even down to Hot August Nights in Reno, Nevada—some 25 plus years ago. That’s where and when I first met Roy Collier. Roy was driving his dad’s 1950 Ford 2Dr Coupe that was showing off a pretty nice candy apple red paint job. He was still running the little flathead in it for power and the rest of the ride was pretty much stock. 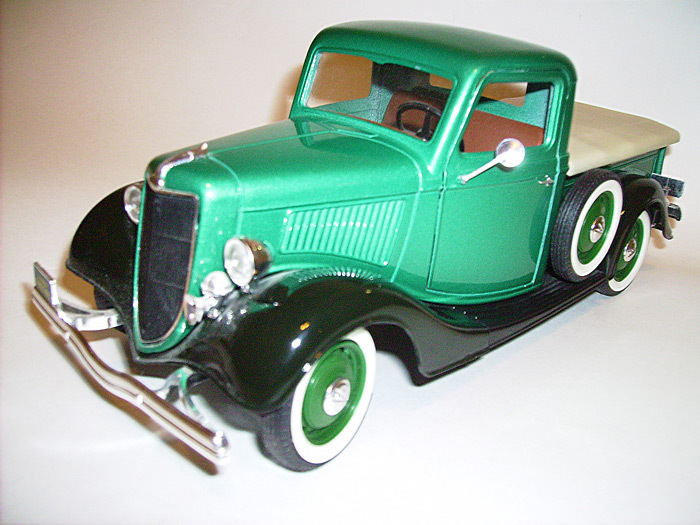 In fact, it still had the hood ornament in place that looked a little out of place over that candy paint job, but Roy and his dad liked the all Ford stock look. 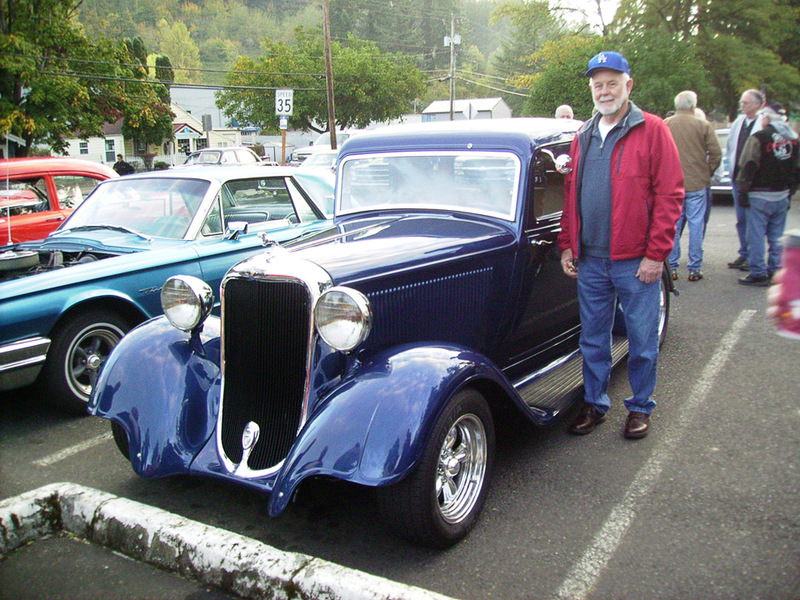 Mr. Collier made his home in Salem, Oregon and this was just one of several cars, street rods, trucks and bikes that Roy and his dad apparently owned together. 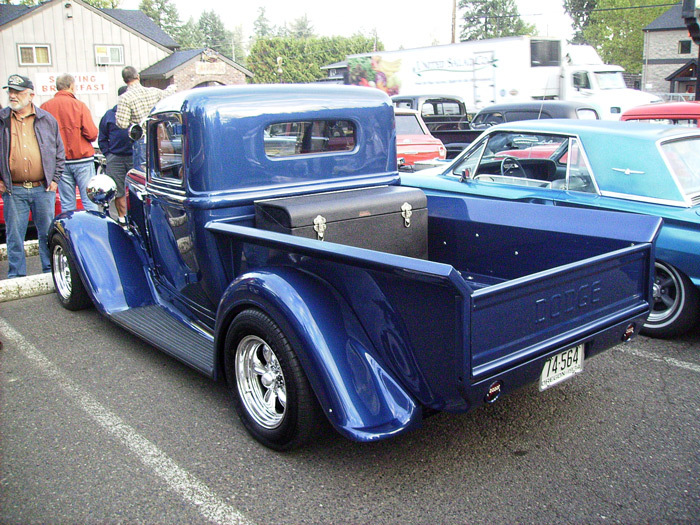 I was making my home in Portland at the time and frequented several custom car and street rod cruise-ins as well as the world class Portland Roadster Show always held in late winter. I ran into Roy again at the Portland Show that year, but he wasn’t showing his Dad’s Ford off—he was just checking out all the rides. I spent a little time enjoying the show with him and it seemed that every time I would pick out a car that really caught my eye, I’ll be darn if Roy and his dad would have one just like it, but just a little bit different color. I’d see a ’39 Willy’s coupe all tricked out running a big blower and sure enough Roy had one in his collection, same color and everything. “Well, of course you can,” was his reply, with or without the Model ”T”, I was always welcome. Now I have been to a few personal one-owner car collections over the years, including the Lemay in Tacoma, Harrah’s in Sparks, and the Davis family’s Pa Pa’s Toys in Cornelius, but I have got to see this very private collection at the Collier Estate in South Salem, Oregon. We established a date that would be comfortable for all parties in question to make the trip down to Salem and it was OK to bring along my son Mike, who was visiting from California. Wow! This was going to be a fantastic day. It was late March and there was still a cool nip in the air as Mike and I headed for South Salem. The address he directed us to was out in the area of the South Salem Golf course and I expected to find a large gated entry to this very private estate! However, as we approached we found ourselves not in a gated community but in an average little middle class housing development with medium size two car garage homes and no gated entry at this address! We were at the correct estate as there sat the candy apple red 2DR Ford a little dirtier and not quite as shiny as she looked in Reno. Well they must have the big car collection at a more secure location. Roy saw us pull in and was at the door in no time at all, welcoming us into his dad’s home. Now where is the world class 60-80 car collection I pondered in my mind? Roy was so busy introducing us around the table, then he asked me where the model “T” was and why hadn’t I brought it, as he had all his buddies there wanting to see it! We satisfied his request with the excuse it looked like snow in Portland and not a good drive for the “T” in questionable weather. Wow! All 92 stock cars, custom cars, street rods, trucks and bikes were downstairs awaiting my camera, with the average size of 1.18% in scale size. I truly had been snookered by my own digestive thoughts of automobile collective wonderment, and never questioned the dimensional size of the vehicles that this family had been collecting for the past 25 plus years. To this Collier family, this was a fantastic collection of American custom cars of vehicles on display that included every popular Ford, Chevy and Mopar, as well as Packards, Willy’s and Studabakers etc. in both cars and trucks. 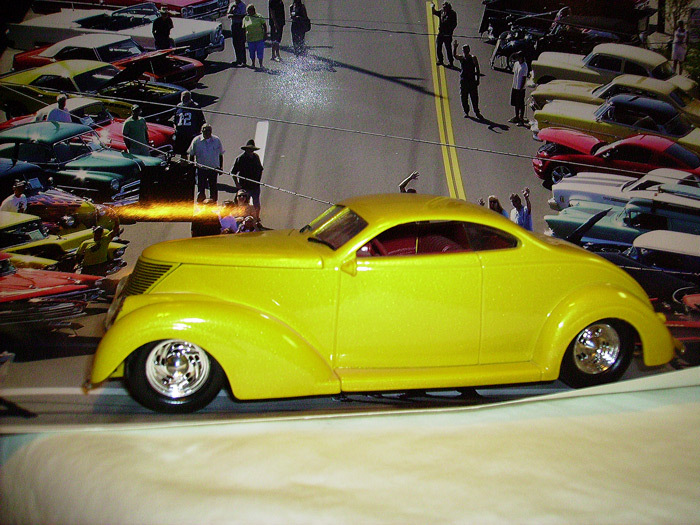 Some fantastic custom show cars, street rods, trucks and quite a few good old classic stockers. In addition, Ron had identified each ride with a spec tab of year, engine size, mfg. number and estimated MSRP value displayed on each ride. My son Mike and I had quite a laugh over a couple of beers when we got back to Portland that afternoon. Boy did I learn a lesson in size and dimension that day. I also learned that I wasn’t the only guy that still had his car from high school. Roy’s father Ron had his little ’50 Ford 2DR back in school also. I sure hope she’s still in their family today. All in all it was a fantastic collection of memorable vehicles (despite the size) as well as a super fun day with my son. 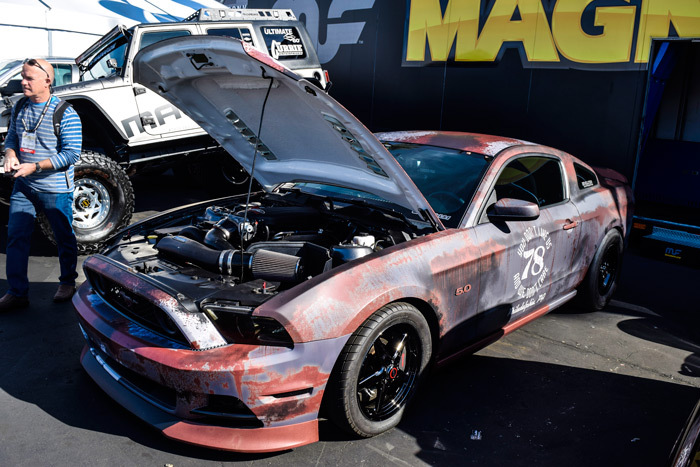 SEMA2015 has outdone itself again. 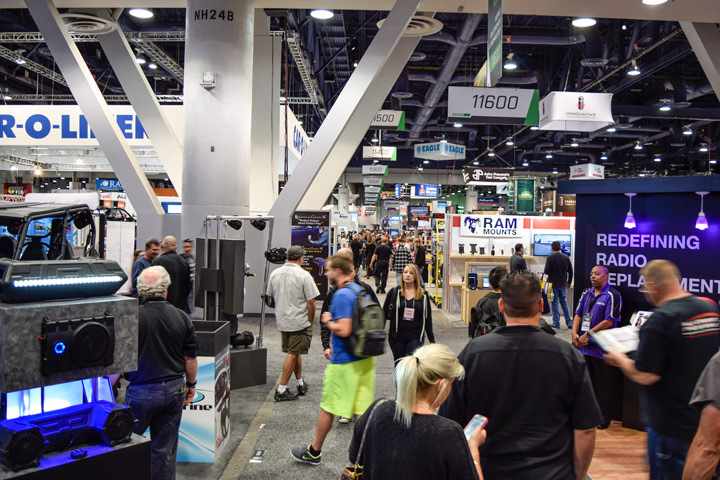 The SEMA Show has grown throughout the years—along with it, the Convention Center down in Las Vegas has expanded as well, out of necessity. Because, this year’s show utilized every square inch available. Additional displays filled the Sands Convention Center and areas of the Westmark Hotel. This show is one of the largest in Vegas. Many were complaining of walking the over thirty miles of aisles – but, not yours truly! We heard Linda Vaughn was in the house but never found her. Her good friend George Barris, builder of who knows how many way out, Hollywood hot rods, died before the show ended. Godspeed—He will be missed by many. 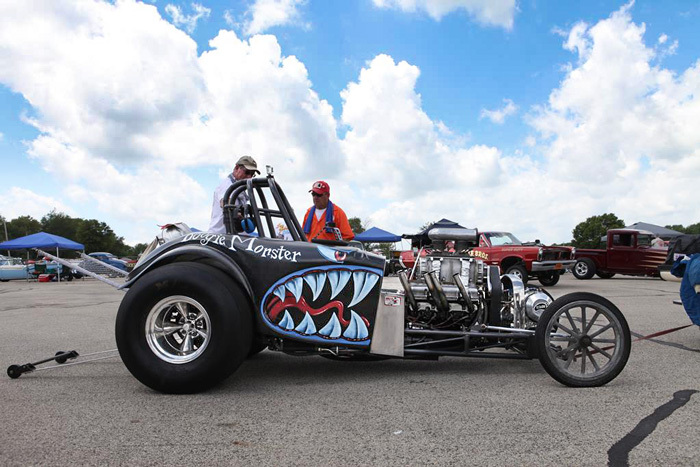 Every year this show set the pace for what we will be seeing in the coming years in the Hot Rod world. There is plenty to talk about but for now, we have a few observations. As usual the number of bitchin’, badass, brand new hot rods was in the thousands. Nowhere on earth will you see this many brand new builds. We were covering them as fast as we could for #GearHeadsWorld. Check it out online in the coming weeks to view the most extensive video collection of the event. 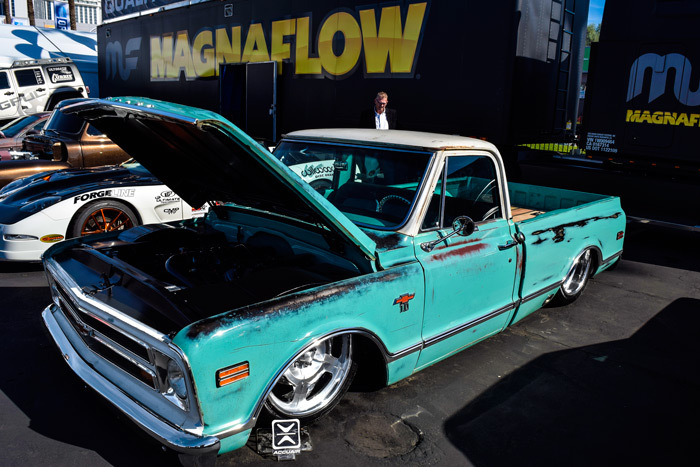 To start off, one thing we were not seeing was a proliferation of roots style superchargers, along with the muscle car style pro Streeters’ we used to see. 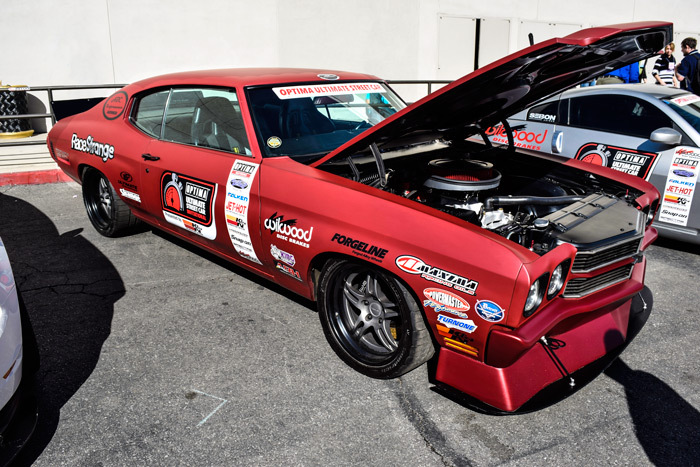 Now, the Pro Touring style is more the order of the day. The Prochargers’ and the turbos are more hidden down in the engine compartment. Something we are seeing a lot of is carbon fiber all over some of the cars. Some cars are completely made of carbon fiber. Some of the builders are getting into making molds for this. There were many custom, carbon touches made for good eyeball candy. Continuing on that subject was the proliferation of body wraps. Dozens and dozens of companies have sprung up that can wrap your car from head to toe with a brand new paint job, without painting it. It’s all decals GearHeads! 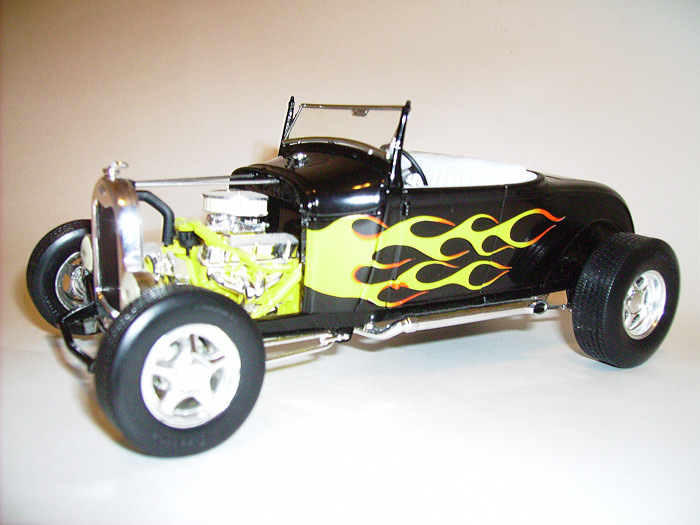 But when it comes to actually painting your hot rod, this is what we found: Flatz paint is in. Make no mistake about it. These kinds of paint jobs are tough to do but it looks like they are here to stay for a good, long time. We were seeing them on all kinds of vehicles. And the color selection was nothing short of amazing. All kinds of bright colorful variations of flat paint. Be ready – it is coming to your neighborhood soon. One final observation would have to include the wheels. With all of the new cad/cam and billet machining capabilities that are available nowadays, wheel styles have exploded. Be ready for the largest selection of wheels ever! ‘Nuff said.